Demachi Shopping Arcade. 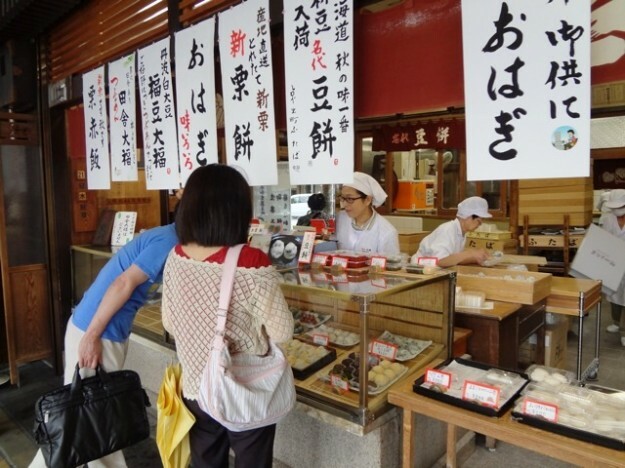 When you come to Kyoto, you will find many shopping arcade like Nishiki market. In stead of huge shopping centers and supermarkets, you will feel homely atmosphere by talking withlocal shop owners. Here I will take you to Demachi area, a little bit north of center of Kyoto. 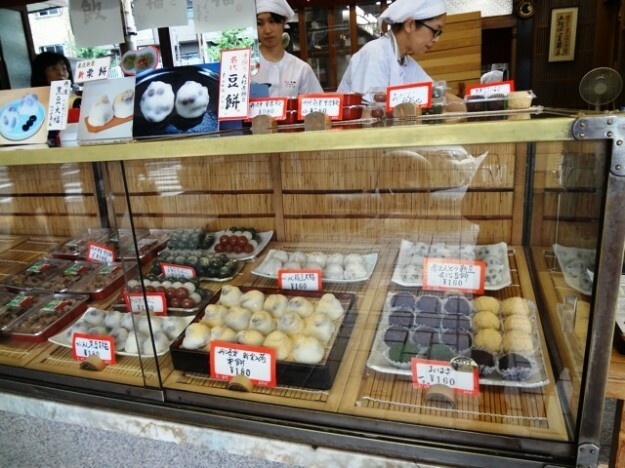 Before you enter Demachi shopping arcade, you will find a long line of people in front of sweet shop called “Futaba”. Japanese sweet— rice cake with sweeten red beans. Japanese sweet is not too sweet. Enjoy this rice cake first!!! Then, proceed your way to the entrance of Demachi arcade. You feel that you are now in 60’s. People greet and talk today’s weather, ask about your family, and if you are a traveler, you are asked where you are from . (may be only in Japanese!!) Enjoy strolling there. 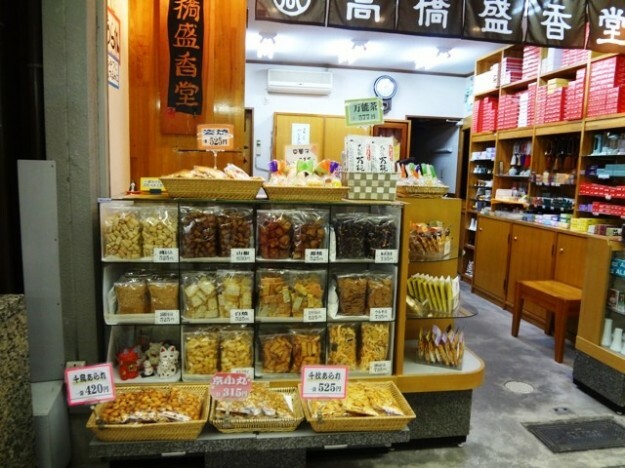 You will find a cute rice cracker store, a stationery store, and local 100 yen store!